Allows linking up various LAN resources without additional devices. 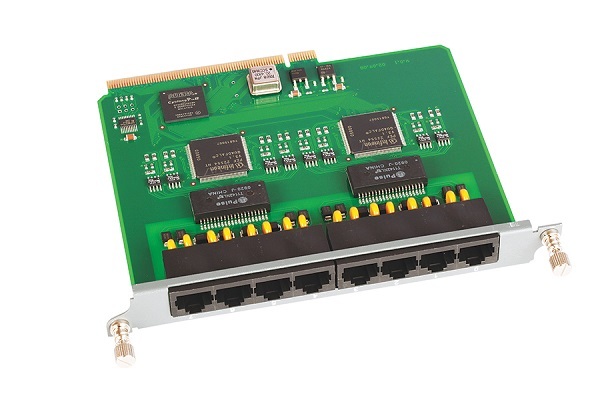 All Ethernet ports are configured independently or operate in commutator mode. In case of commutator mode, all ports function as a single network interface and transmit data bypassing the processor. Is used for router configuration. 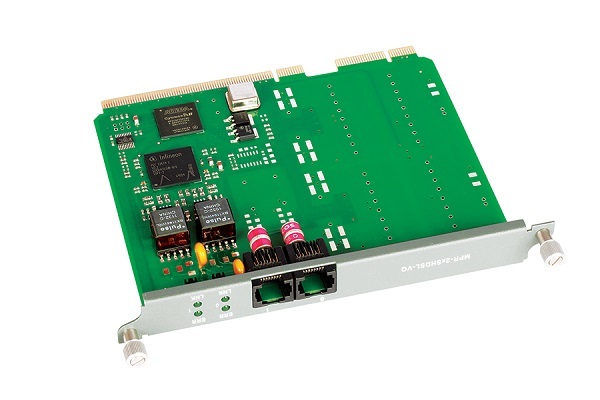 Makes it easier to choose processor module depending on the task with regard to such requirements as router performance, number of channels, encryption, etc. Allows establishing remote connections in 2-, 4-, 6- and 8-wire mode. 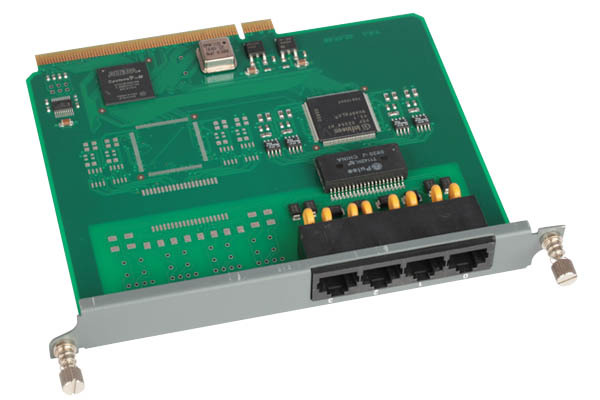 Each of the E1 module interfaces may be used in the multiplexing into SHDSL, RS232 and other E1 channels mode. The interfaces may as well be used for data routing in HDLC mode. Features ports for linking up analog telephones with tone or impulse dialing for further transmission of voice using VoIP. Option of independent setup of the following characteristics for different channels: type of dtmf-signal transmission, volume during signal coding/decoding, activity detector, etc. Features ports linking up voice frequency channels for further transmission of the digitized signal using IP technology. 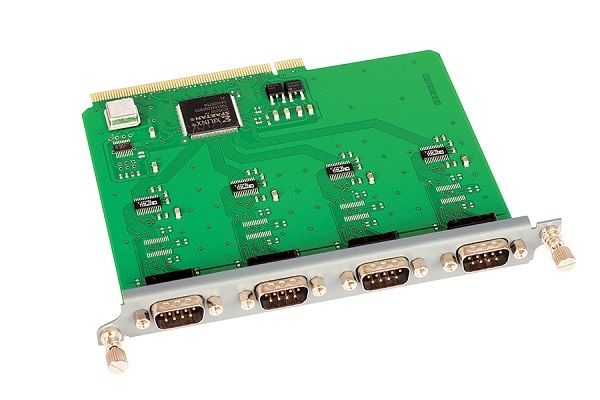 Features ports for linking up equipment with serial interface. 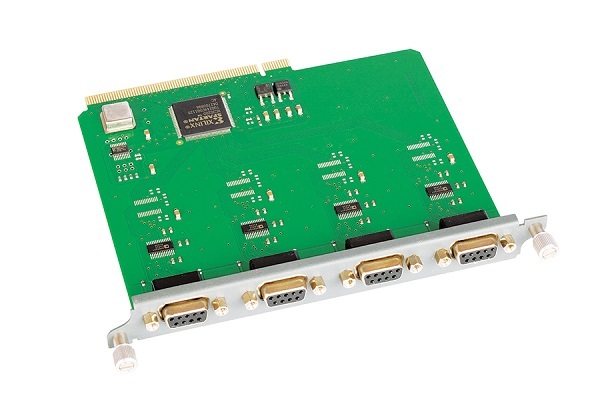 Adapter-module for PCMCIA (CardBus) devices: Wi-Fi, etc. Ensures co-operation with wireless modules PCMCIA 802.11 a/b/g of different manufacturers in the frequencies including 2.4 GHz and 5 GHz. Enables the router to operate as access point or as client. VLANs support is provided. An option of installation of different antennae is available. 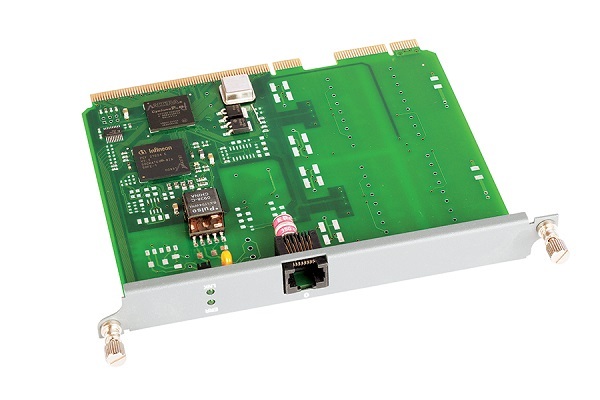 The SG-17R-1RU-CP1-4ETH/DC base platform modular platform is designed to operate as a router, multiplexer, bridge, DSLAM, access server, IP-gateway, IT-PBX, most of the functions being carried out simultaneously by the same device. BridgeThe bridge mode enables the device to carry out transparent traffic transmission between its interfaces. For example, it is possible to transmit traffic transparently between two Ethernet networks over an SHDSL consisting of several channels. 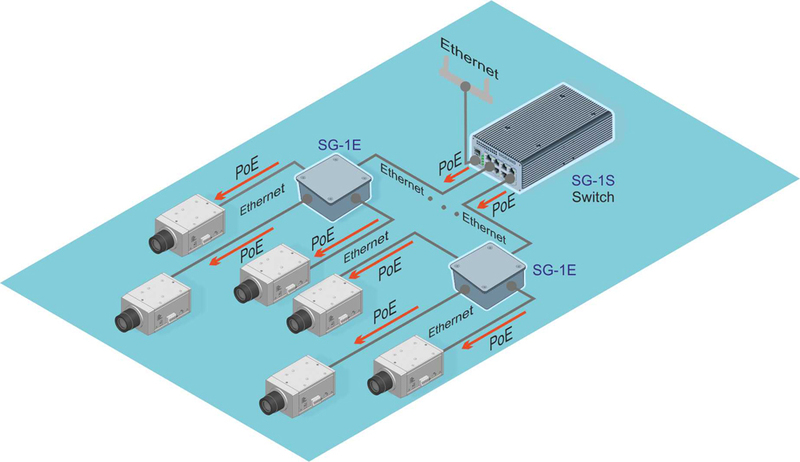 The multiplexer mode enables transmission of data streams by means of IP and TDM technologies, over the chosen broad-band interface (SHDSL, Ethernet, E1). 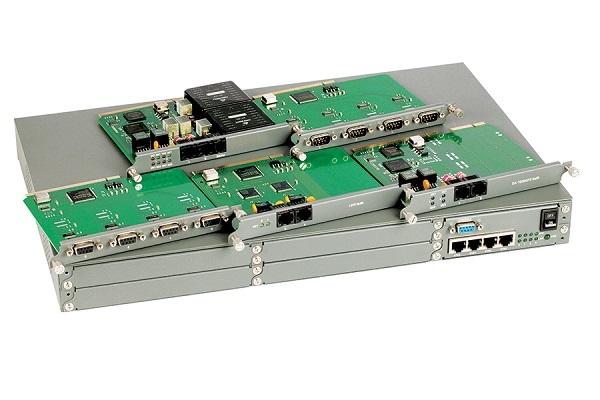 Both E1 and RS232 interfaces may be used as narrow-band (low-speed) channels. In this case, additional router or bridge setup completed, the remaining band may be used for Ethernet traffic transmission. 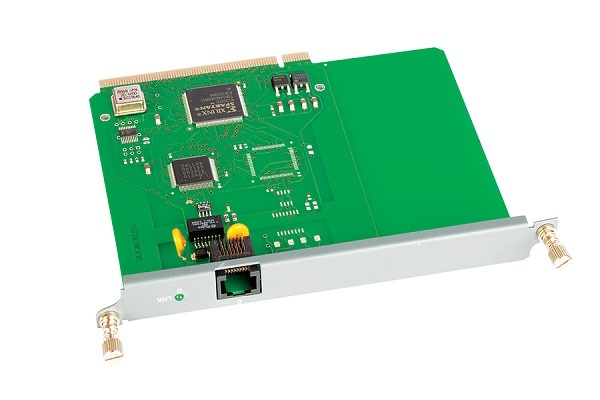 To transmit E1 streams over Ethernet by TDMoIP, SG-17R platform with a stronger processor module is used. Both copper medium 10/100/1000 Mbit/s and optical channel linked over plug-in SFP interface may be used as Ethernet. The router mode enables transmission of traffic among different IP-networks, linked to different interfaces, routing rules observed. Both static and dynamic routing is supported. The DSLAM mode transforms SG-17R-1RU-CP1-4ETH/DC base platform into commutator that transmits data between SHDSL or Ethernet network interfaces. 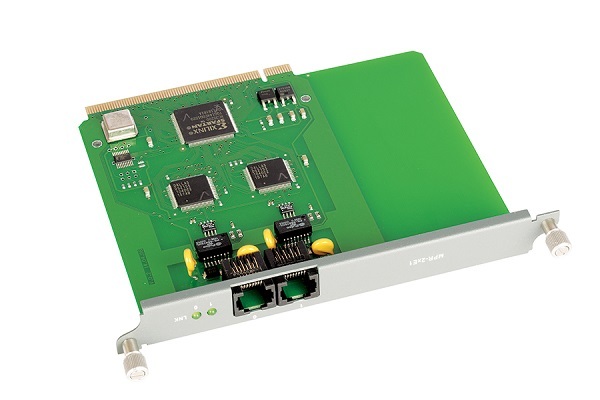 The SHDSL and Ethernet modules, being parts of the device, are capable of power-feeding the link. 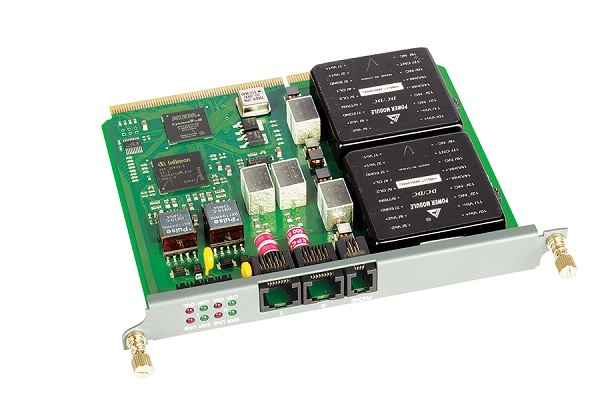 The access server mode provides control over equipment linked to SG-17R-1RU-CP1-4ETH/DC base platform over RS232. The IP-gateway mode allows both separating and uniting telephones using VoIP and data transmission over Ethernet, SHDSL and E1. The IP-PBX mode allows setting up miniPBX, which, in its turn enables calls over SIP-server, calls between ports within single device or among different SG-17R-1RU-CP1-4ETH/DC base platform devices. 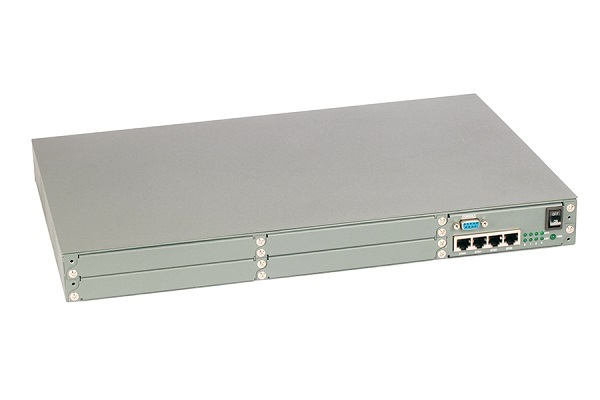 The miniPBX enables automatic call-forwarding between FXS/FXO ports. The software of the SG-17R-1RU-CP1-4ETH/DC base platform platform is Linux OS freeware. The platform is controlled through web-interface (Russian and English); troubleshooting is completed over serial port or over SSH protocol. The platform software is updated via TFTP server. SG-17R-1RU-CP1-4ETH/DC base platform supports “bonding” mechanism or PPP-Multilink protocol both of which enable uniting SHDSL, E1, RS232 interfaces for further increasing the carrying capacity and improving reliability. When using “bonding”, the channel capacity remains unchanged irrespective of integrity of the pairs, over which data is transmitted. Furthermore, transmission rate may be set taking into account the maximum carrying capacity of the channels. SG-17R-1RU-CP1-4ETH/DC base platform may operate as firewall, rejecting or accessing packets on the basis of the protocol, source and destination addresses and No. of the ports used. By means of NAT address translation applicable to SNAT or DNAT is completed. QoS enables prioritizing packets. QoS is supported by various class and classless disciplines. There is an option of singling out fixed bands for different types of traffic or for different networks. VLAN support helps to isolate traffic transmitted through the same physical medium. The port may be set up so as to transmit either entire traffic or single packets with certain LAN numbers. 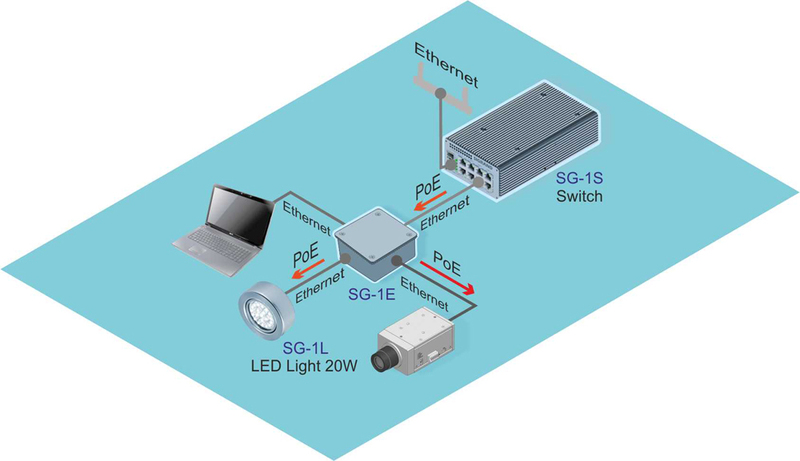 SG-17R enables crating tunnels for tamper-free data exchange. Built-in Ethernet ports may be set up as commutators, i.e. may transmit data by-passing the processer. 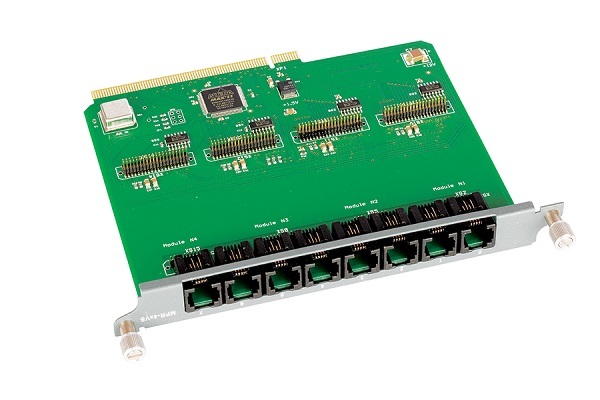 These ports operate as a single network interface in the system. Interdependence of the interfaces may be set, in which case, for instance, if the link on SHDSL fails, the link of the corresponding Ethernet or E1 interface turns down as well. SG-17R features built-in DHCP and DNS servers. DHCP server allows assigning IP addresses to PCs in the networks it runs in. DNS server helps transfer requests to higher-level DNS-servers or locate DNS zones directly on the device. SG-17R enables receiving multiple parameters of SHDSL channel (signal to noise ratio, number of errors, etc) through separate EOC control channel. This information is available via web-interface or via SNMP (HDSL2-SHDSL-LINE-MIB). Basic information on the system in accordance with MIB-2 is also available via SNMP: information about network interfaces, routing tables, processor load, etc. Generation of NetFlow (v.1, 5, 7) may be set up for collection of statistic on the volume of traffic.